Shrove Tuesday! Arguably the best Tuesday of the year, unless of course Christmas happens to fall one. 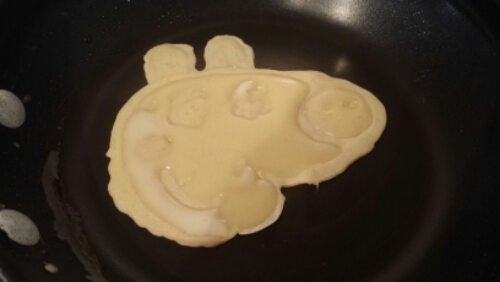 We love pancakes (crepe style if you’re reading this from across the pond) in this house. Drizzled with warm maple syrup, smeared in raspberry jam or simply sprinkled with sugar and lemon juice. Delicious! I use a bog standard recipe of 2 eggs, 100g flour, 50g melted butter and 300ml of milk, although I trippled it as we had friends over this afternoon and a church leaders meeting, which is actually starting in an hour, so I figured I’d make a big batch this morning to reheat as needed. 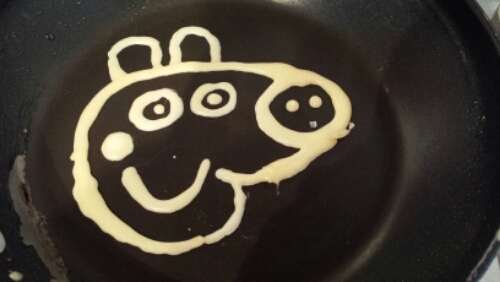 I don’t know whether you’re aware of the pancake art craze that’s happening at the moment? 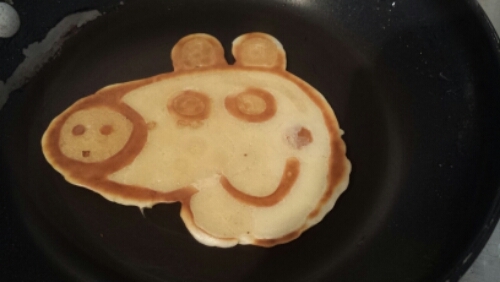 There are some truly amazing pancake artists out there! Have a look on You Tube. Anyway, here’s my feeble attempt… Comment below if you can tell who it is! I had a happy three year old! Happy Shrove Tuesday!